d-c-home | Marble-look storage for a more organized dressing table. Marble-look storage for a more organized dressing table. Is your new year’s resolution to be more organized? 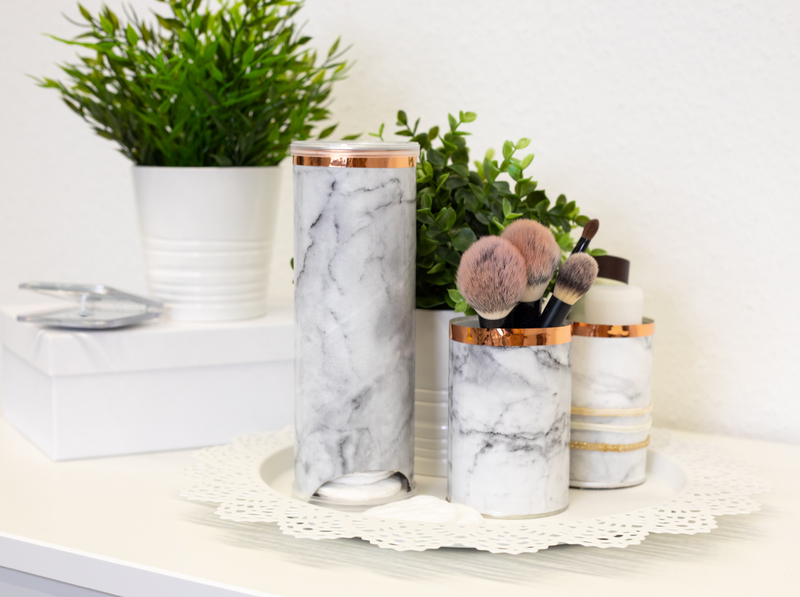 Our marble-look storage containers with rose-gold accents make being organized much more fun. 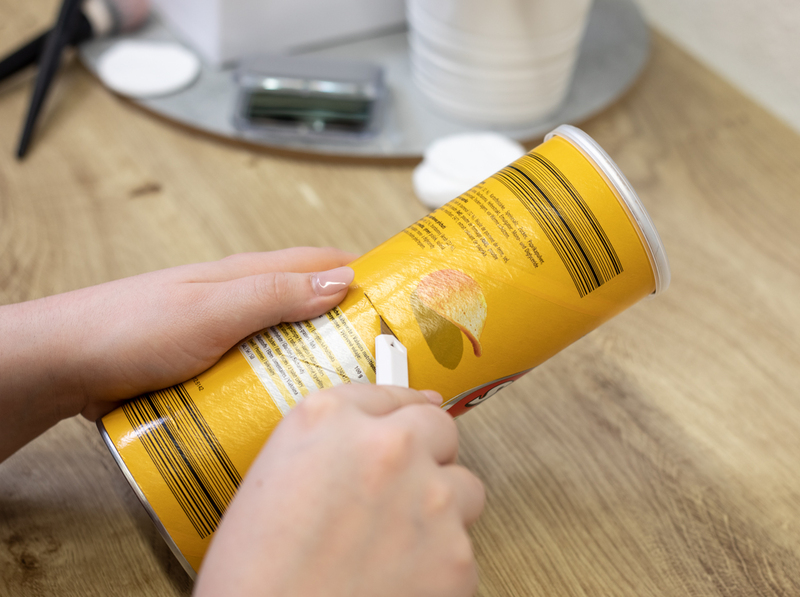 Whether it be for cotton wool pads, hair ties or make-up brushes, we will find the perfect place for them. Empty the tubes of chips, clean them and trim them if necessary. 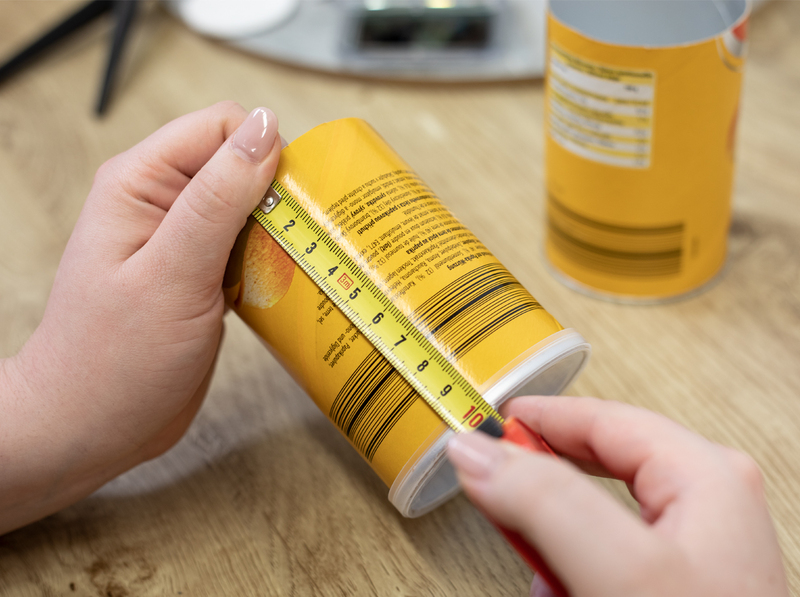 Measure the tubes roughly and mark the dimensions on the film backing paper. Cut the film to size and wrap it around the relevant tubes. 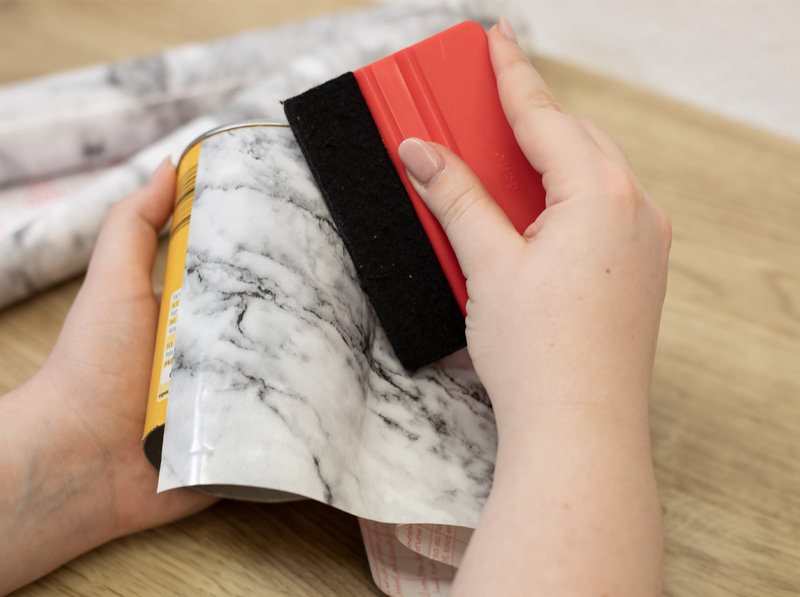 Press the marble film down firmly using your hands. 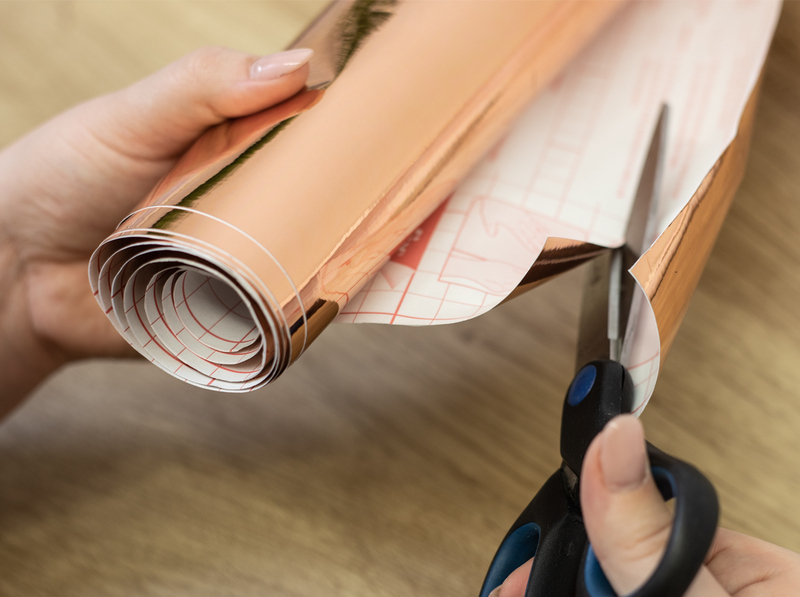 Cut out thin lines of the rose-gold film and stick these onto the tubes as well. For the cotton wool pad storage container, carefully cut out a hole about 5 cm wide and 2 cm high at the bottom.